Judith A. Riggs, 74 of Eagle, WI, passed away on Friday, October 19, 2018 at Linden Grove of Mukwonago. She was born November 3, 1943 in Waukesha, WI, the daughter of the late William S. and Bonnie (Pease) Lean Sr. Judy graduated from Palmyra High School and went on to earn her Bachelor’s Degree from the University of Wisconsin-Whitewater. 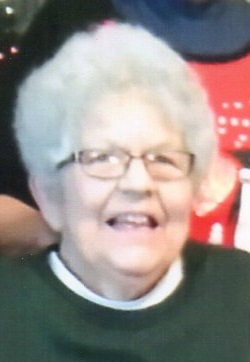 She was a teacher for 35 years with the Waukesha School District. Judy enjoyed golfing, reading and playing cards. Judy is survived by her two siblings, Mary (Marvin Markestad) Price of Elkhorn and William (Peggy) Lean of Palmyra, WI, brother-in-law, Bruce Thayer, dear cousin, Linda Dillaber and seven nieces and nephews: Paula (Trevor) Knaack, Timothy (Brandy) Thayer, Joshua (Casey) Price, Sarah (Jim) Mutterspaugh, Samantha, Sydney and Sophia Lean and eight great nieces and nephews. She was preceded in death by her parents, husband and sister, Marty Thayer. Private celebration of life will be held at a later date. Online guest book at www.haaselockwoodfhs.com. Arrangements by Haase-Lockwood & Associates Funeral Homes and Crematory.